A lovely weekend here, inside and out. The weather is glorious, and it's great to be able to leave the doors and windows open. DH tried out our new pressure washer on the shed for me, so I can paint it if the weather holds. We're very impressed with the washer - well worth the cost. 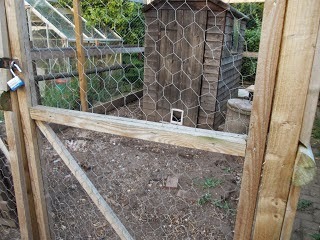 I'll wash the old hen house inside and out, too, and paint it with a view to turning it into a bolt hole summer house at the top of the garden, for me. 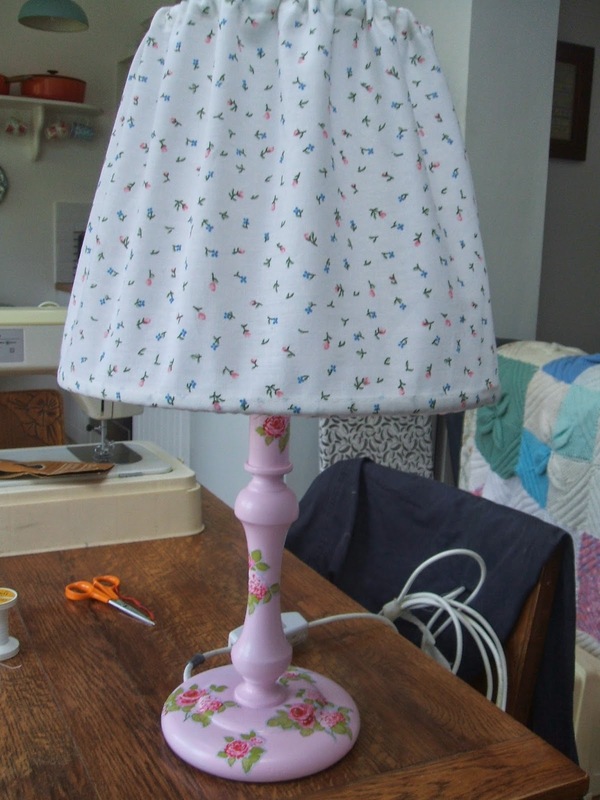 Indoors, I've been re-vamping a sad lamp, and am very happy with the result - especially as it only cost £1.50! I've also started a short sleeved cardi for Maisie, a little friend. It doesn't show clearly here, but there are sweet, pink and blue mice on the fronts. Dashing this off, to catch Handmade Monday - see you over there. Pressure washers are great - you see colours you never knew you had in your patio!! Love the lamp after you've done it up! I love your lamp - so pretty! 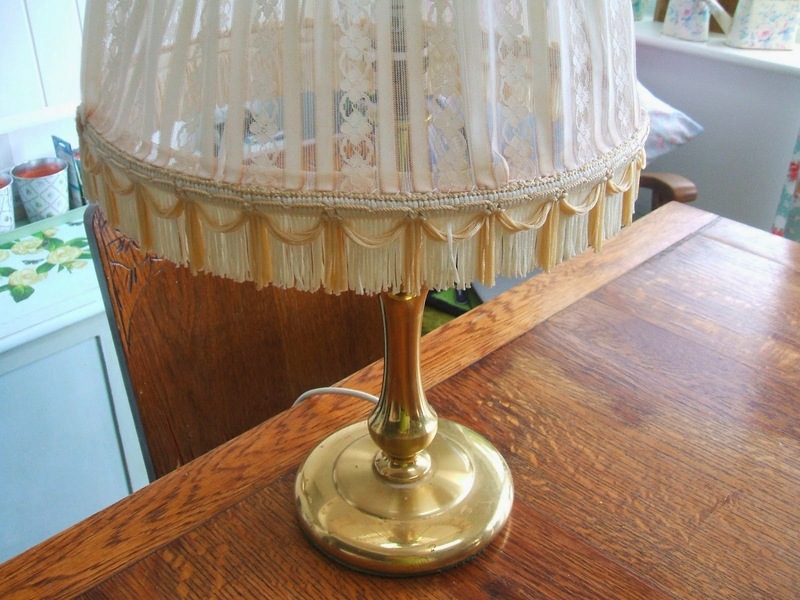 A lovely lamp, I particularly love the stem of it. 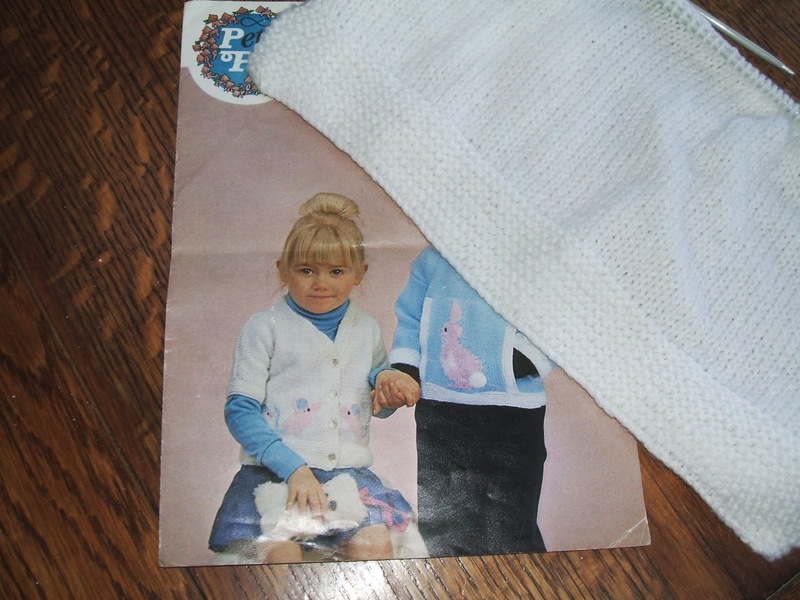 I'm sure your little friend will love the cardi too. I love the remake on the lamp. Very cheerful looking.